So this is it: ground zero, the birth of horror cinema. FW Murnau’s loose, copyright-dodging 1922 adaptation of Bram Stoker’s ‘Dracula’ may not be the world’s first horror flick (that honour probably goes to George Méliès’s ‘Le Manoir du Diable’ from 1896) but it’s the most influential. So many keynotes of the genre emerge fully formed here: the use of light and shadow, threat and tension, beauty and ugliness, a man in grotesque make-up threatening an innocent girl. 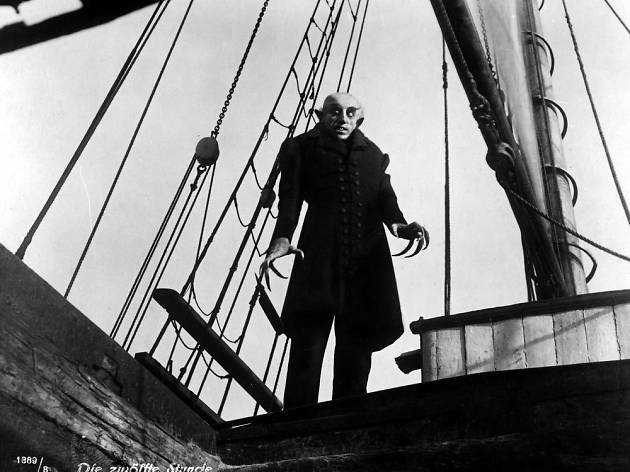 It could be argued that the film set another, less positive precedent that would go on to plague horror cinema: a tendency to prize shock and sensation over character. 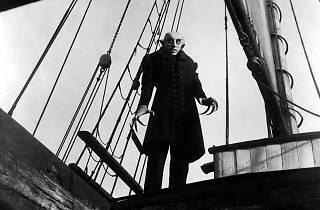 But ‘Nosferatu’ remains deeply unsettling: Max Schreck’s contorted performance in the title role, not to mention that hideous, batlike make-up, may be the film’s most iconic image, but the plague-of-rats scene is deeply unnerving too – we can only imagine how it must have seemed to audiences emerging shattered from the Great War.